Upgrade your Exige S or 2-Eleven to release its full potential! Partnering with Komo-Tec in Germany, we have developed our line-up of highly-acclaimed upgrade packages for the Exige S and 2-Eleven, that make use of the existing factory fitted MP62 (Eaton ‘roots-type’) supercharger. Maps developed in the UK and Germany through our partnership with Komo-Tec allow us to deliver a drivable and durable 298bhp and 192lb/ft of torque. These systems have been tested in the stresses of endurance racing and are therefore ideal for road, track or race use.These upgrades are suitable for EXIGE S / 2-ELEVEN (Supercharged) models from 2005 onwards. Further power can be achieved from these engines, if you wish to discuss this option, please contact us for more information. 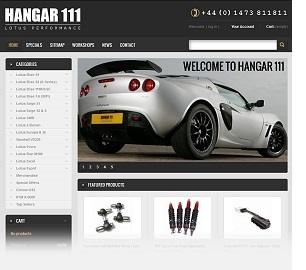 For more details and current pricing of the Exige and 2-11 upgrade kits, please see our online store.